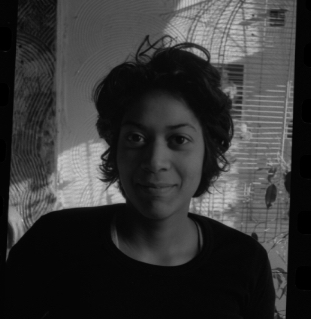 Meet Alicia Grullón, Artist Catalyst working with The LP on the Kelly Street Collaborative. Read our interview below to find out more about Alicia. I have known about LP since 2010. At that time The LP and I were fellows with A Blade of Grass. Needless to say, I have been a long time admirer of The LP, its artists in residence, and the concept of making art with community in local laundromats. It’s all about the love! Do you have your own creative practice? If so, tell us more! I am an interdisciplinary artist wanting to re-write history. I interrupt traditional dialogues in order to show a perspective closer to that lived by people. I draw from intersectional feminist and critical race theories, activism, location and space to develop performances, video, socially engaged projects, and works on paper. Please tell us about an artist, curator, activist, or project that has inspired you. There are too many to list! Tania Brugeria has long been an inspiration for me especially her project with the Queens Museum, “Immigrant Movement International”. It’s most successful aspect is that it is now running on its own- independent of the artist yet faithful to its original mission. What is your favorite… dessert? “All about Eve” (1950), “Brother from Another Planet” (1984) and “Jacob’s Ladder” (1990). Book about art or social practice? My neighbors always saying good morning and putting lost gloves on the school fence for people to find. Art matters because it allows very complex issues to be accessible. It provokes questions and dialogue in whatever form it comes in regardless of its being deemed successful or not. It is forever evolving because it documents the human experience in ways that are intimate, public, and ephemeral. What are your dreams / ambitions for The LP? My ambitions for The LP are to continue cultivating its mission to build community through art and practicing its 7 values. This is an interesting moment in art where its purpose is being re-evaluatated as well as its impact. I think that looking back at this period from the future, The LP will be a key player in affecting just how much art organizations will have changed and progressed. Alicia Grullón is an artist and Artist Catalyst with The Laundromat Project’s Kelly Street Collaborative. A Bronx native, she explores encounters between people and how these encounters are locations where issues of race, class, gender, and activism open up. She creates interdisciplinary, often performative work, that transforms how community and history are experienced. She has been widely-exhibited, having presented work for El Museo del Barrio, The Bronx Museum of the Arts, Creative Time, Open Engagement, School of Visual Arts and the Royal College of Art. She holds a BFA from New York University and an MFA from SUNY New Paltz. She is presently serving as the Altman Foundation Fellow at Columbia University’s Wallach Gallery.